I have been practicing as a specialist psychiatrist in New Zealand for the past 25 years and am an Affiliate Fellow of the Royal Australian New Zealand College of Psychiatrists. I have a particular interest in psychotherapy and was Consultant Psychiatrist at a Regional Specialist Psychotherapy Service for some 10 years. In addition I have an interest in psychopharmacology and keep up to date with these treatments. I graduated as a specialist psychiatrist in 1986. I worked for some years at Community Mental Health Centres where assessment and treatment is provided for a wide range of psychiatric and psychological problems. I have been in part time private practice practice since 1992. My approach is holistic and tailored to meet the needs of the individual. This includes fully assessing the person and their problem in the context of their medical and psychological history and present circumstances. This enables me to offer appropriate recommendations using a personalized treatment approach which may include medication and/or psychological intervention. My experience has been predominantly with adult clients i.e. from age18 yrs onwards. I do not treat children, but do assess and treat adolescents, who have left school and are 18. I am not available for forensic assessments & reports for court cases. Most medical insurers contribute partially or fully towards payment of psychiatric consultations up to a limited amount per year. Affiliated Provider to Southern Cross Health Society. Please provide your Southern Cross Membership or Policy Number when making an appointment. PLEASE DO NOT email me or send text messages to SCHEDULE APPOINTMENTS. Please phone me directly to arrange an appointment. Your call will often be responded to by an answer phone. Please leave a message and I will return your call promptly. If you need to cancel an appointment please provide at least one working day’s notice. A late cancellation fee or non-attendance fee will otherwise be charged. I am not available for crises or phone calls at night after 6.30 pm or at weekends, unless this has been prearranged with me for specific reasons. In emergencies please contact the mental health system crisis team – to find their tel. no. for your area dial telecom 018 or go to website of mental health foundation – http://mentalhealth.org.nz. Dr Mackay’s practice abides by the ethical guidelines of New Zealand Medical Council and the Royal Australian New Zealand College of Psychiatry. 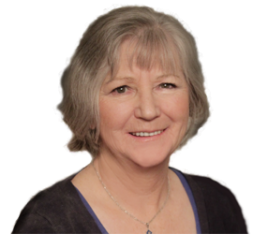 Gillian is currently only accepting new referrals from GP’s, psychologists, psychotherapists, counsellors and organizations such as ACC and EAP.